Summary: South Park – The Complete Sixteenth Season, for my money, proves that Trey and Matt aren’t showing any signs of running out of steam any time soon and although it can’t be argued that the show is certainly a different beast from when it first started airing, this season is a welcome return to form over the sporadic preceding seasons and serves to signal that, much like its creators, South Park is growing up. 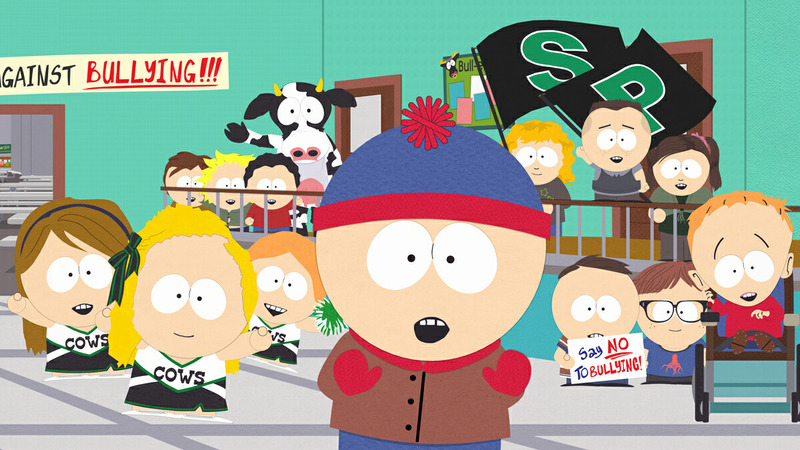 Coming into its 17th year, South Park has maintained a consistency in the quality of its content that contemporaries such as The Simpsons and the polarising Family Guy have failed to achieve. That’s not to say that there haven’t been changes to the format of the show along the way, with recent episodes having more of a focus on contemporary pop culture references and subversive satire rather than the crude, more insular episodes that made up the earlier seasons. As with when The Simpsons realised that Homer was a much more interesting vein to tap for stories rather than Bart, South Park has seen characters like Stan’s father Randy step into the limelight in recent years and the show has gradually moved away from focusing solely the esoteric adventures of the four children; this move seems to have divided the fan-base somewhat, with some lamenting the simpler plots less reliant on current events and others fully embracing the slightly different direction the show has taken since seasons 8 and 9. Personally I still find the show to be just as engaging now as it ever was; however, like many others, I did notice that certain episodes were becoming a little more hit and miss than usual (Most noticeably when Matt and Trey were heavily involved in other pursuits that took their concentration off the show, such as the brilliant The Book of Mormon), with my personal low point for the series coming with Season 14, a situation not helped by the omission of the controversial “200” & “201” episodes being omitted from the region 4 release. 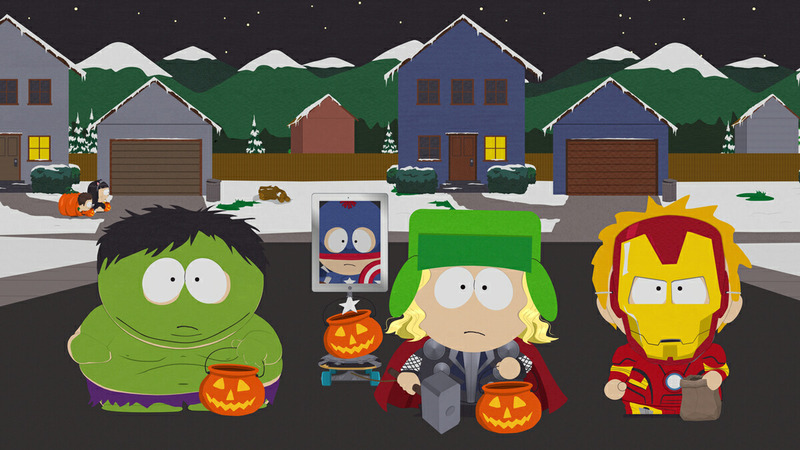 With that said, a weaker season of South Park is, in my opinion, better than 99% of television programming and although the 14th is my least favourite season it still contains some of my favourite episodes, showing that the magic is most definitely still there. 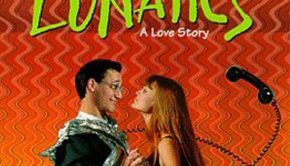 Thankfully I’ve found that the fifteenth and sixteenth seasons, whilst arguably not quite up to the standard of the so-called “Golden Years” of seasons 3 through to 9, have managed to recapture that fine balancing act of irreverent humour and astute social satire that creators Trey Parker and Matt Stone have honed to a fine art, resulting in episodes that can stand shoulder to shoulder with some of the series’ best. This release collects all 14 episodes of the show’s sixteenth season, with episodes covering everything from Randy’s inadvertent creation of a new sporting league (And Butters’ happiness imbuing “magical goo” sports drink), the death of Clyde’s mother due to him leaving the toilet seat up and the widely felt ramifications of a clampdown on toilet safety, the boys enduring the nightmarish ordeal of ziplining, a parody of The Shining where Randy purchases a Blockbuster video store and is slowly driven mad and the literal “Raising of the Bar” by deep sea adventurer (and occasional director) James Cameron. 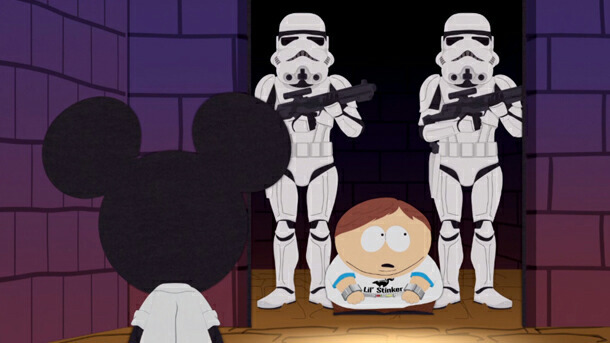 The show still maintains its satirical edge, taking thoughtfully conceived swipes at the heavy handed tactics of the TSA, the moral decline of television programming (Ironically a sin that South Park itself was once accused of perpetrating), the adulation of celebrity and how businesses capitalise on paranoia about home invasions and the loneliness of the elderly in order to turn a quick buck. Of course, all of this astute social commentary is complimented by the gut busting and boundary pushing sense of humour that has become synonymous with the show. There are admittedly a few episodes where the concepts don’t quite hit the mark – Which can only be expected, given the gruelling one week production schedule on each episode – But all are hilarious, and episodes like “A Nightmare on Face Time” rank up there with the very best. The targets have changed somewhat and the humour isn’t as crude as it once was but the execution of the episodes is just as sharp as ever, which is all one can ask for. Paramount’s transfer gets top marks in the audio/visual departments, with clear delineation between images and no real sign of softness around the edges of characters and objects. This release comes with a small collection of 6 deleted scenes and Trey and Matt’s usual “Mini-Commentaries” on each episode, usually running at about four minutes or so. These provide a bit of insight into the inspiration behind the episodes and some interesting tidbits, such as the motivation for Cartman taking umbrage to Honey Boo Boo beating his show “Fatty Doo Doo” in the ratings stemming from Matt and Trey’s disgust in discovering that the white trash reality show was really doing just that to South Park. They also briefly mention that they’ve been hard at work on the constantly delayed The Stick of Truth, which comes as a great relief to fans like myself who feared that the game would never reach completion. One minor complaint I have is that Trey and Matt don’t make any effort to hide their disdain for doing commentaries and, as a result, they tend to rush through them quite quickly, but they do usually manage to cover my main questions behind the inception of the ideas behind the episode and, given the animated nature of the show, it would understandably be hard to come up with anecdotes about what was happening behind the scenes. Some fans of the series may argue that South Park has run its course and they’re entitled to that opinion but I respectfully disagree. This season has a healthy balance between hot topic episodes and the ones that focus more on the kids being kids, and the writers’ reliance on pop culture isn’t as prevalent as it has been in previous seasons. 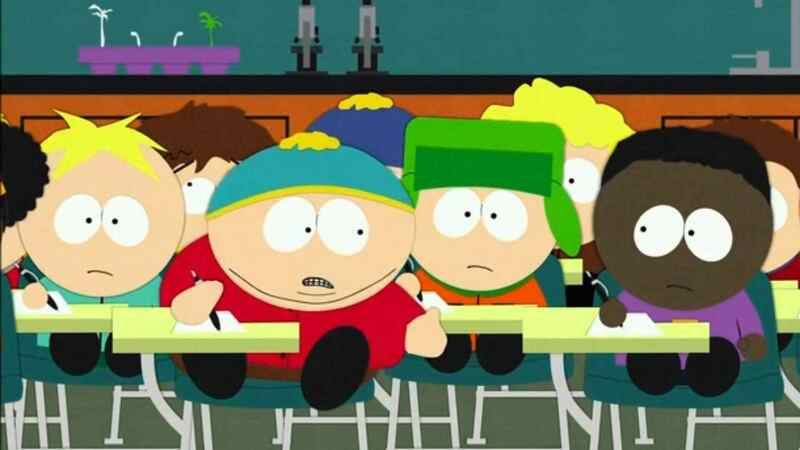 Episodes like “Cartman falls in Love” should appease those longing for a return to the more children-centric episodes, whilst others like “Faith Hilling” (With its hilarious dissection of meme trends and the appearance of the “Ol’ Long Johnson” Cat) and “Butterballs” cover relevant topics such as the KONY 2012 video with that trademark rapier wit and subversion of expectations. 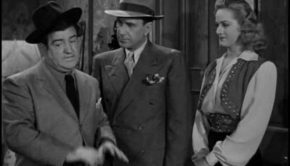 Heck, the plot point in “Cash for Gold” about Stan’s grandfather’s descent into senility is loaded with more pathos than many drama programs manage to achieve. 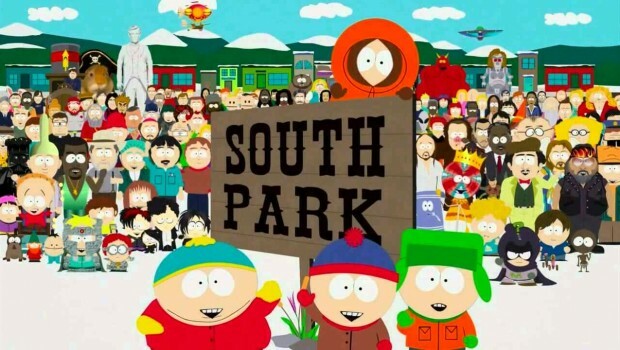 South Park – The Complete Sixteenth Season, for my money, proves that Trey and Matt aren’t showing any signs of running out of steam any time soon and although it can’t be argued that the show is certainly a different beast from when it first started airing, this season is a welcome return to form over the sporadic preceding seasons and serves to signal that, much like its creators, South Park is growing up. Recommended.